David Preston Thompson was an American businessman and politician in the Pacific Northwest. He was governor of the Idaho Territory from 1875 to 1876. A native of Ohio, he immigrated to the Oregon Territory in 1853. In Oregon, Thompson would become a wealthy business man, and served in the Oregon Legislative Assembly, as both a Republican and a Democrat, both before and after his time in Idaho, with election to both chambers of the legislature. During the American Civil War he joined the United States Army, but remained in Oregon and did not see any action. In his later years, the father of three would serve as the mayor of Portland, Oregon, and as United States minister to the Ottoman Empire. 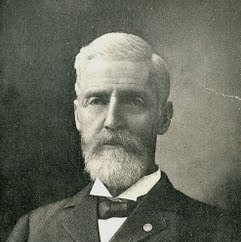 A Republican for most of his political career, he was a presidential elector for the party, and in 1890 was its candidate for Governor of Oregon. Elk, a statue and fountain in the middle of Main Street in downtown Portland, was donated by him to the city, and a city park in Northeast Portland is named in his honor.